Cini Little offers useful resources for your foodservice projects covering aspects of occupational health and safety, building code of Australia and food standards, upcoming events and The Tourism & Hospitality Catering Institute of Australia and our partner Cini Little in the United States. 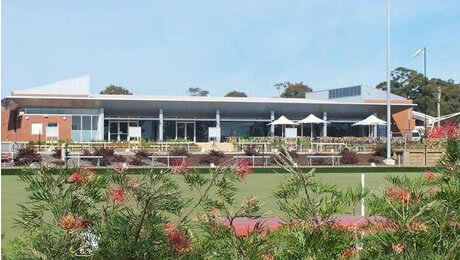 Located on the south coast of New South Wales and the social centre of the district, Cini Little were engaged to work with Abeo Architecture to redesign the Foodservice areas within the Club. A new Bistro Restaurant with seating for 450 was to be provided with a display kitchen with all aspects on show. This Bistro Kitchen was to be supported from a revamped Back of House Kitchen, which would also support an Auditorium, Function Room with a capacity for 700 patrons. The Bistro Kitchen was to feature a char grill station set into the front counter adjacent to the Ordering counter and was also to feature a wood fired pizza oven and a separate Carvery Station. A conventional cooking line with a rotisserie was set into the back counter and the whole cooking operation on show to the members of the Club. Adjacent to the Bistro, a Café and Bar was positioned to service the Bistro and other areas of the Club. The Café offering espresso coffee, dessert, snacks and gelato. The Bar offering, beer, wine and mixed drinks to the members.